We are located in Old Towne Orange, California and inspired by our surroundings of history, craftsmanship, and community we strive to produce beer that is focused on flavor and freshness. 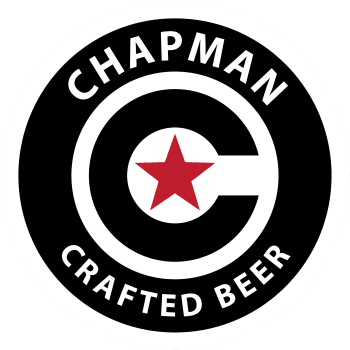 Our goal is to create a unique drinking experience that can only be found at Chapman Crafted Beer in Old Towne Orange, California. Origins of Chapman Crafted begin with its founding partners Wil Dee and Randy Nelson, two long-time entrepreneurial collaborators with extensive experience in Real Estate, hospitality, restaurant operations, and business development as well as a mutual appreciation for craft beer. Brian Thorson, formerly of Trumer, Drakes, and Haven Brewing, is our Head Brewer and Mad Scientist. He brings with him years of experience and a memorable goatee. Brian is forecasting a wide variety of styles from lagers, and IPAs, to bourbon barrel-aged stouts, and sours. Mattias Bellasalmo is heading up sales and distribution. He will be the one making sure the beer gets into your hands as fresh as can be. At Chapman Crafted Beer we look forward to adding on to our already wonderful community through well crafted beer, a unique drinking experience, and most importantly giving back to the community.